In less than half an hour I arrived at the central station. In contrast to Nagoya it was cloudy here the whole day and the temperature is below 25 °C making it very pleasant. 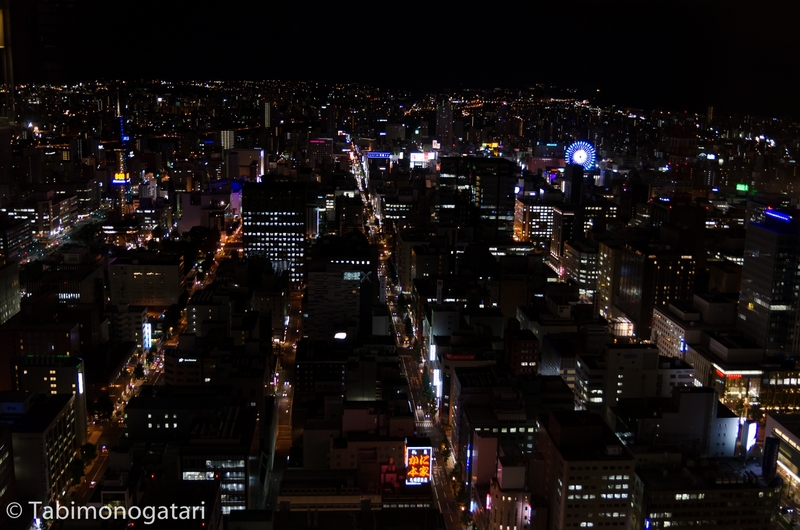 Sapporo adopted a grid layout, like Mannheim and New York. It is very easy to find an address since the streets are called after the four cardinal directions and their distance to the center, to example 2 North 4 West. Sapporo also houses the oldest beer brewery of Japan with the same name. A self-proclaimed beer garden was set up close to the station so I settled for a drink before moving on. I also went shopping in the 11 story department store housing Bic Camera and other. 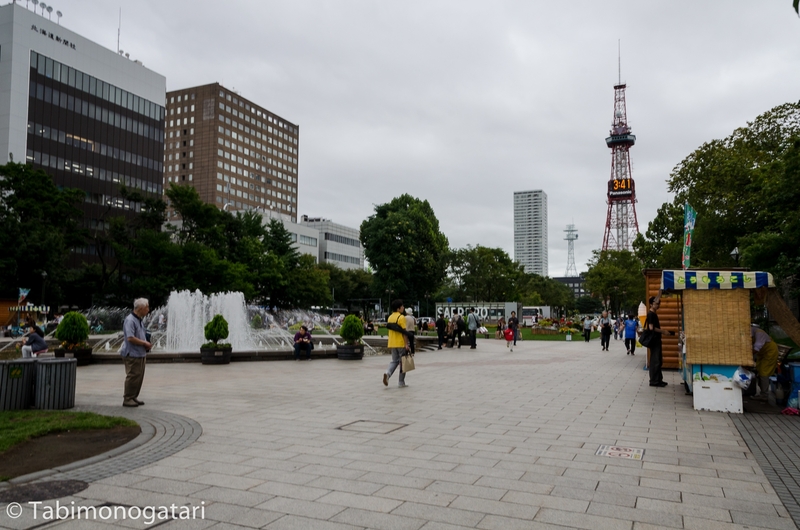 Close from my hotel is the Odori Park with its TV tower, the center and landmark of the city. It spans over 13 blocks with the TV tower on the east end. In February the annual snow festival is happening here. 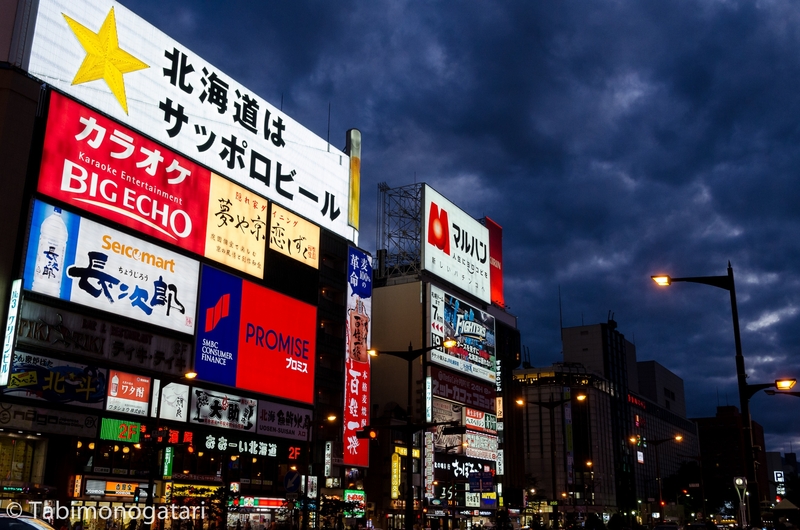 Later in the evening I headed to Susukino, the entertainment district south of Odori Park. Everything lights up and flashes. There are plenty Karaoke places and Pachinko halls with staff inviting with discounts and special offers. Even the traffic lights were talking to me. 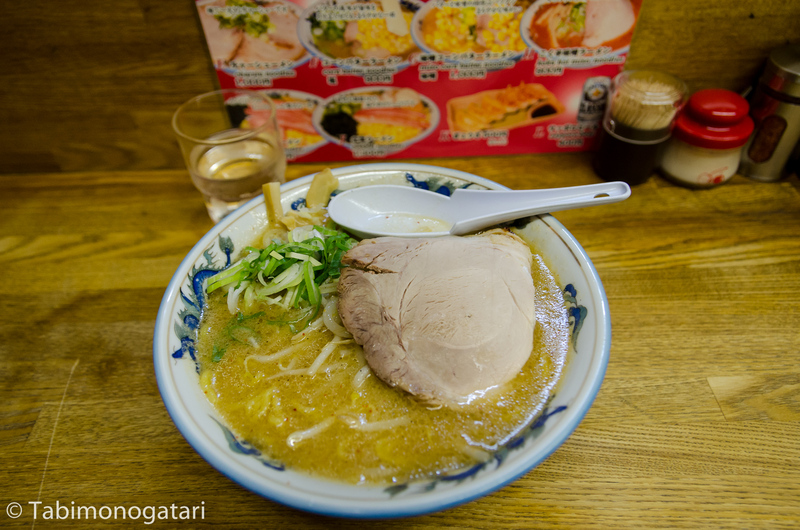 Aside from seafood, Sapporo is famous for its local Ramen. 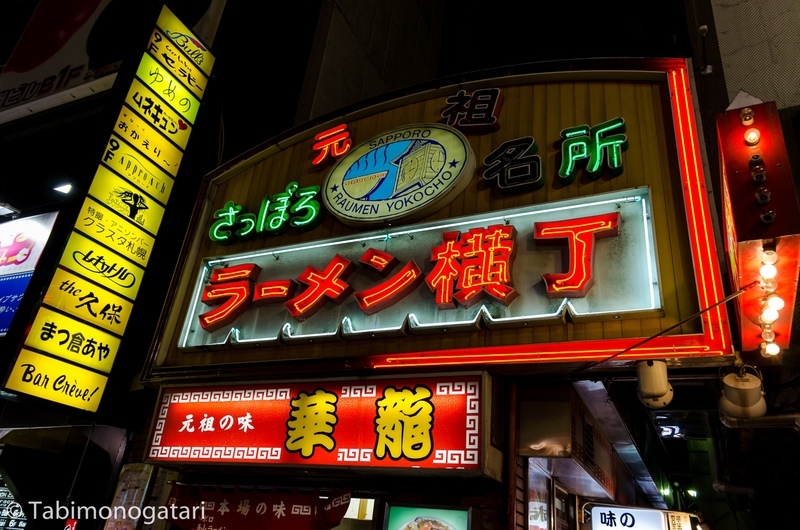 Ramen Yokocho is an alleyway in Susukino where many traditional Ramen restaurants serve different local interpretations of the local dish. I found a place in one of the stalls and ordered a bowl of Miso Ramen. The broth was quite strong and flavour-rich, more to what I was used up to now. 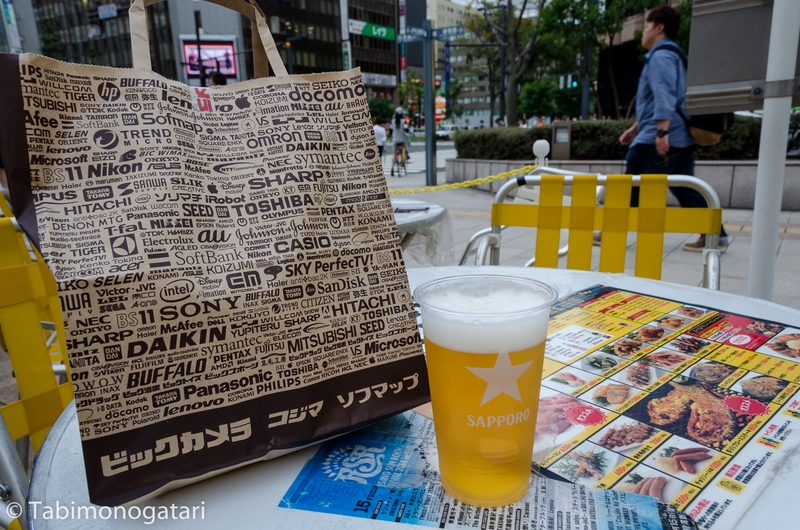 It was really tasty and nothing goes better with it than a cold Sapporo beer. Afterwards, I took the subway back to the JR station in the north of the city center. The station houses multiple department stores like Daimaru and also the JR tower with 38 floors. The top floor houses an observatory with a great view especially towards South. Back in the hotel it’s time to catch up some sleep, I haven’t sleep much in the last 24 hours.